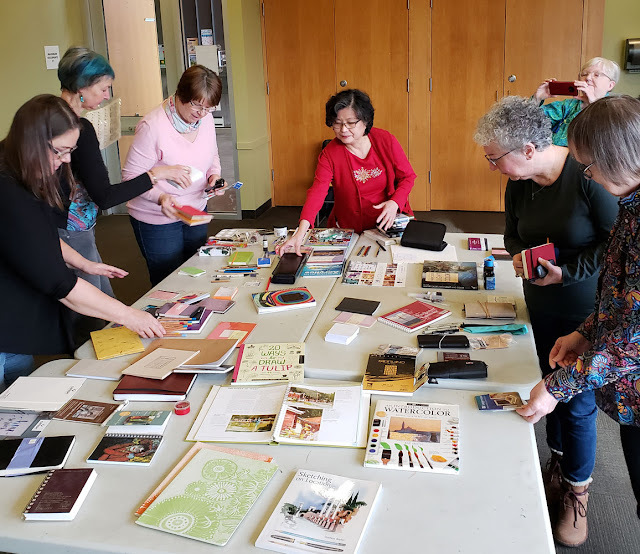 USk Seattle held its sixth annual Gab & Grab this morning. 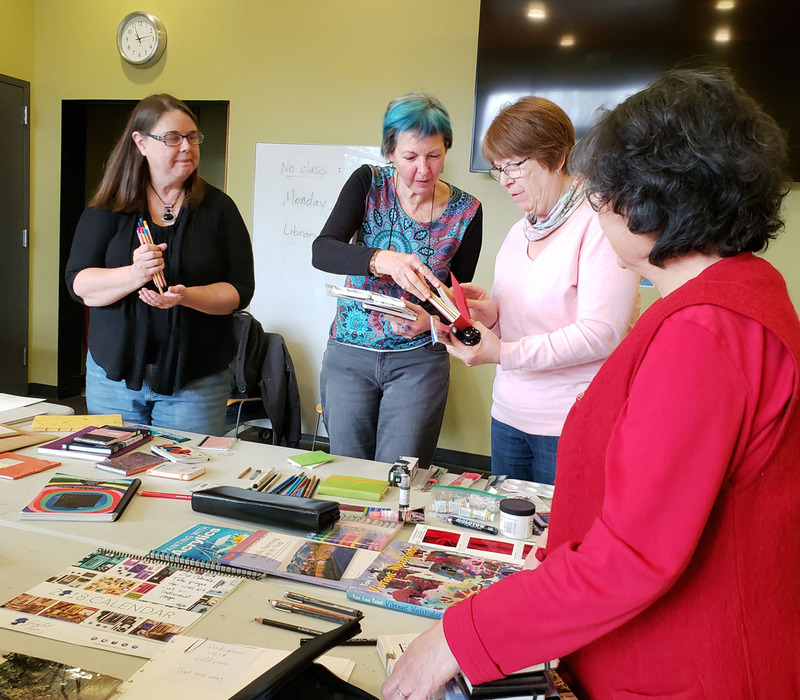 Held at a public library, it’s an opportunity for show-and-tell of our favorite sketch supplies and a place to swap books and materials we are no longer using. 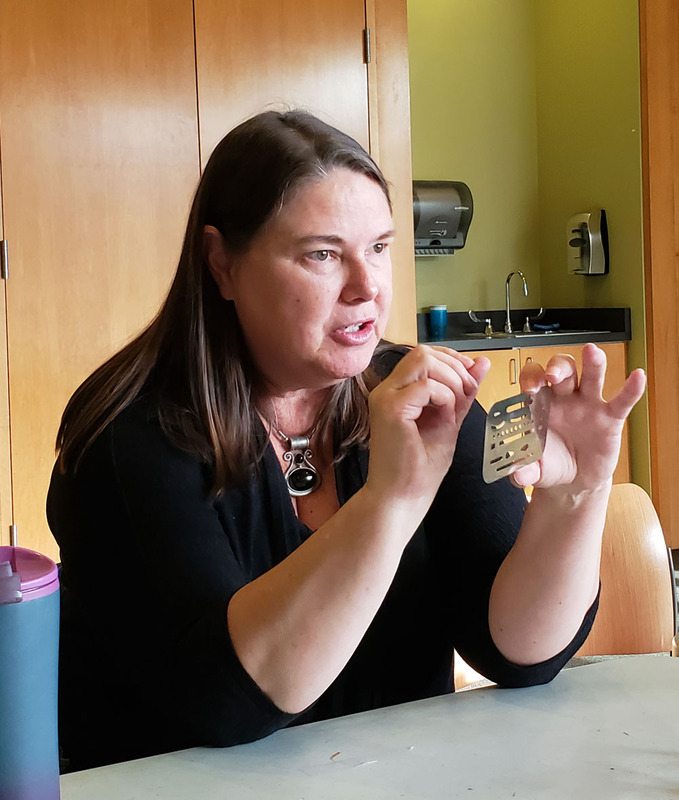 I love sharing and reusing resources this way, and it’s always fun to hear about new tools and materials people have discovered. In fact, I had fully intended to document the event by sketching it like I did last year, but I got so involved in listening to the show & tell and taking photos that (gasp!) I forgot to sketch! Thanks to everyone who brought in things to share and for participating! Good grabbin'! This wasn't all of it -- some of the goods had already been snapped up by the time I took this photo! the Lamy flagship store during her recent trip to Germany. 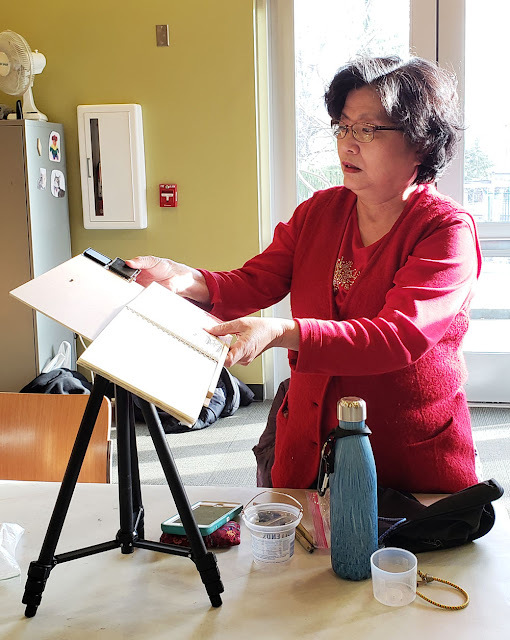 Alice shows us how her DIY easel is assembled. She learned how to make it on YouTube videos. 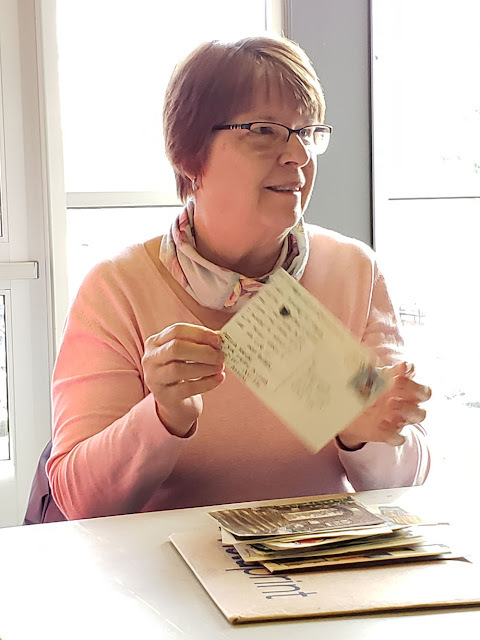 Peggy, who participates in the USk postcard exchange program, showed some of the many cards she has received from international sketchers. 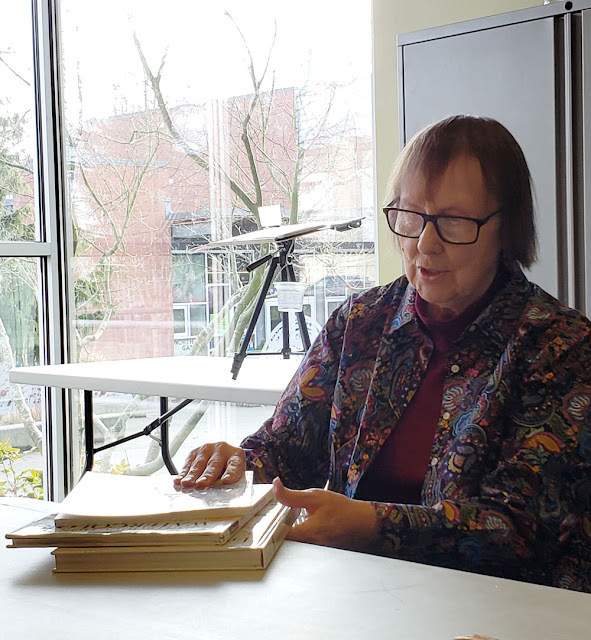 Anne explains how she archives information from books that she wants to keep for reference -- and then gives away the books to lucky recipients like the rest of us. 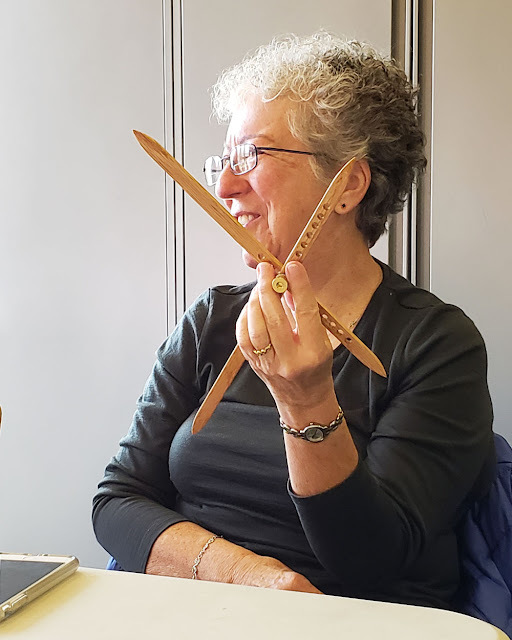 Sue tells us about the proportional divider that she is finding very helpful in correctly scaling her sketches. 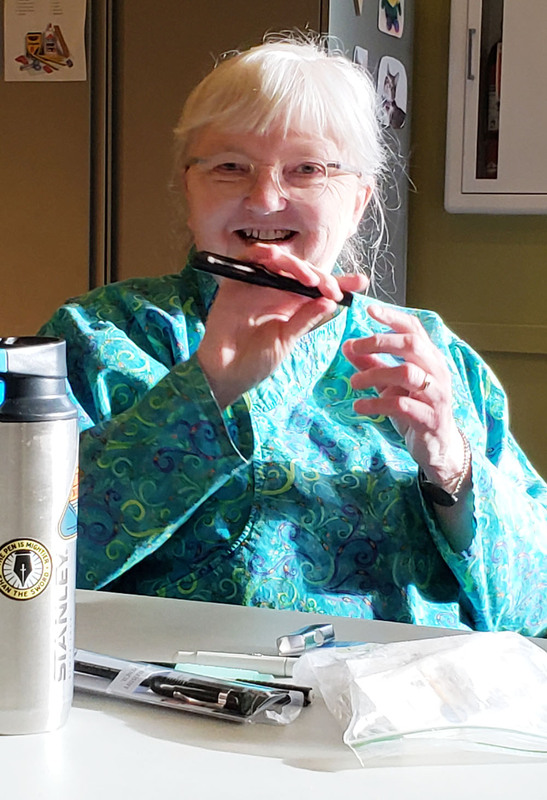 Carol shows us her erasing guide and explains how it is used.